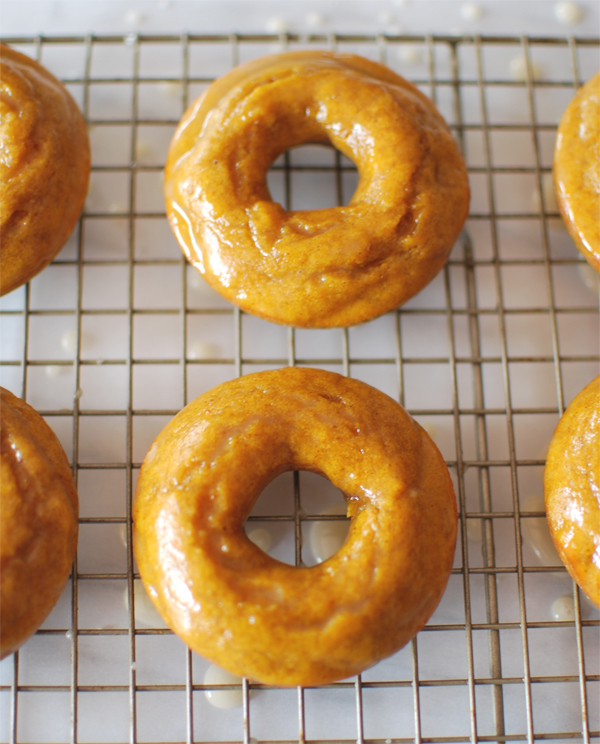 I'm finally sharing the recipe for those glazed pumpkin donuts I made a week ago! 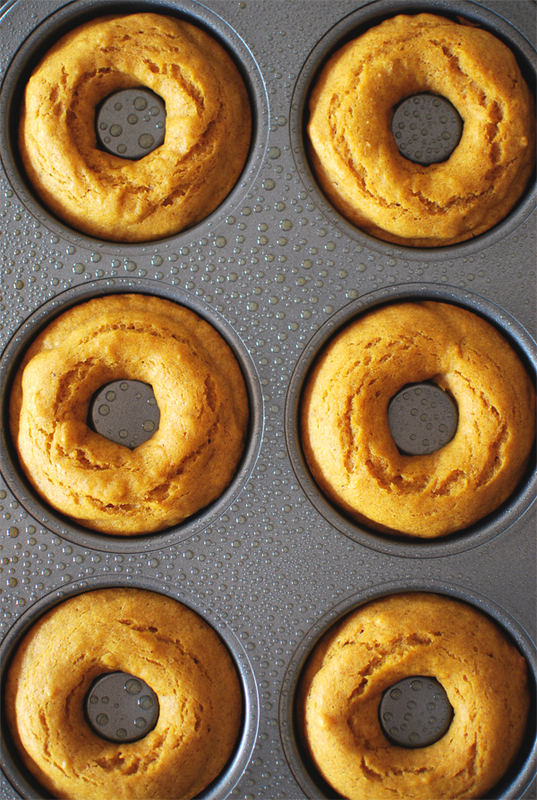 These are so easy and most of the ingredients are something you guys probably already have in your pantry with the exception of pumpkin puree. But who doesn't have a can of pumpkin around this time of year? I find myself buying a can or two whenever I go grocery shopping even without a recipe in mind because I know the craving for any and all pumpkin related baked goods will strike and I will need to get my baking on asap. This recipe is another dairy-free, soy-free one that I've found, but certainly doesn't seem like I'm giving anything up to enjoy something sweet and yummy. These were practically inhaled by the whole family and were gone within days. Days! I know you guys will enjoy it too! Recipe from Confessions of a Cookbook Queen. - Preheat oven to 425. 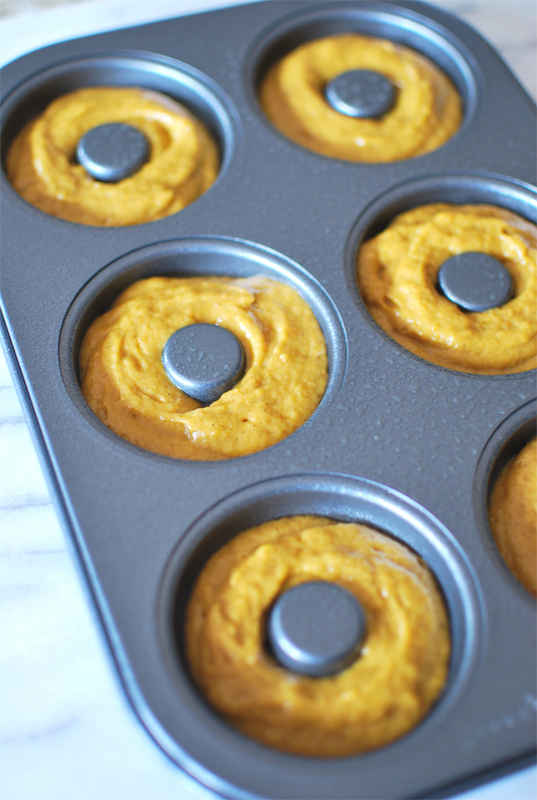 Spray donut molds with nonstick spray. - In a medium bowl, whisk together the flour, baking soda, baking powder, and salt. - Bring pumpkin, cinnamon, and cloves to a simmer in a medium saucepan until puree thickens and just begins sticking to the bottom of the pan. Carefully pour the hot puree into a mixing bowl. Whisk in the brown sugar and oil, then slowly beat in the eggs. Add the flour mixture and whisk until just combined. 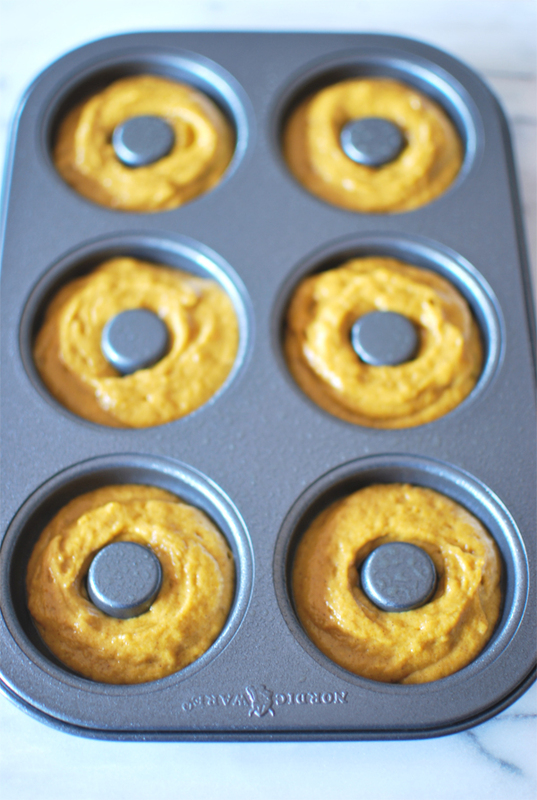 - Fill each donut mold about 3/4 full. I put the batter in a Ziploc bag and piped it in and it was very easy. You could also use a piping bag or just spoon the batter in. - Bake the muffins 5-8 minutes, or until the tops spring back when lightly touched. These won't take very long, so keep an eye on them. 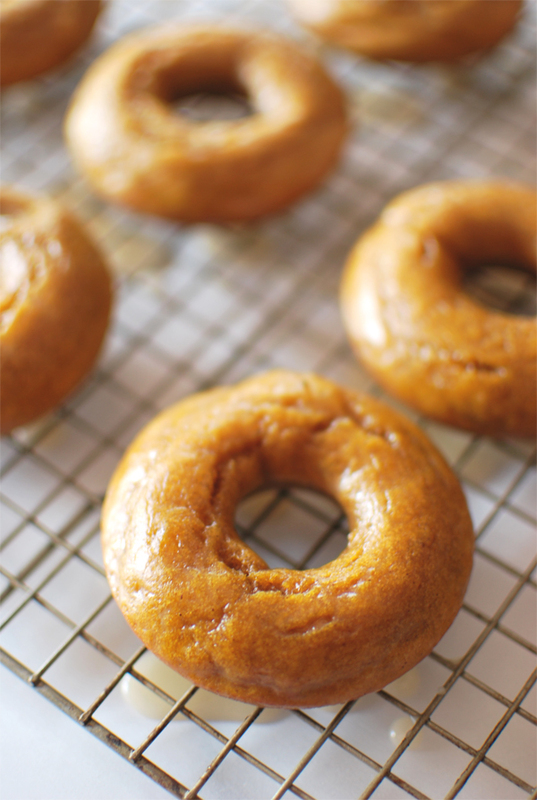 - Let the donuts cool in the pan for a few minutes, then turn out onto a cooling rack while you prepare glaze. - In a medium bowl, whisk all the glaze ingredients together until smooth. - Place a sheet of foil or wax paper under your cooling rack. 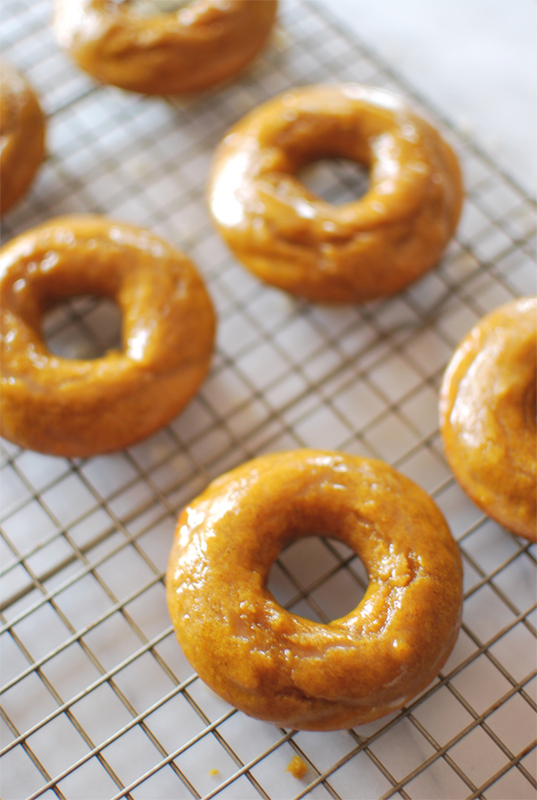 Dip each donut in the glaze, allowing excess to drip off. - Place back on the cooling rack until glaze is firm.